To prevent visitors from viewing your WebSpace, turn on the Coming Soon or Maintenance Mode Page. Visitors that are not logged in will see this page. For search engines, the Coming Soon Mode is still searchable if your site has not been set to private. Whereas, in Maintenance Mode it will let search engines know that the site is unavailable. 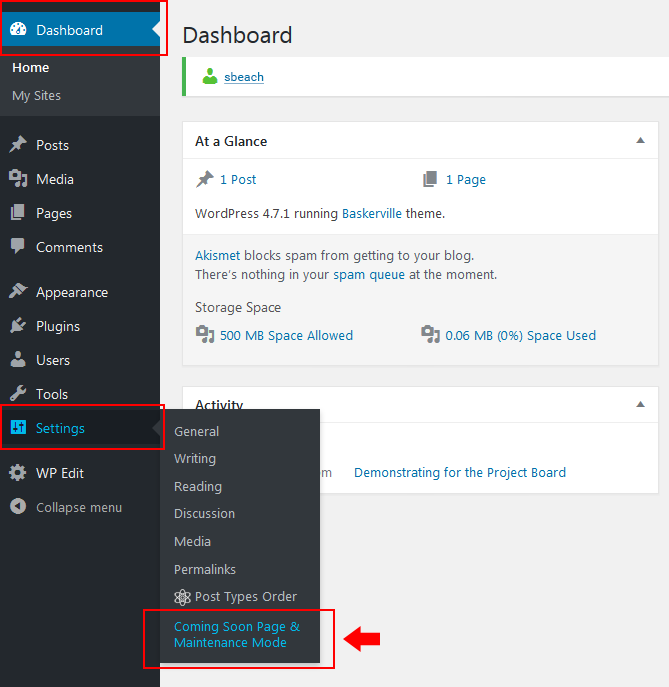 From your Dashboard and click on Settings, Coming Soon and Maintenance Mode Page. Click the radio button next to the Enable Coming Soon Mode or Enable Enable Maintenance Mode. In the Headline box, type in your message. In the screenshot below, Under Construction has been typed in as an example. Look for and click any of the Save All Changes buttons. 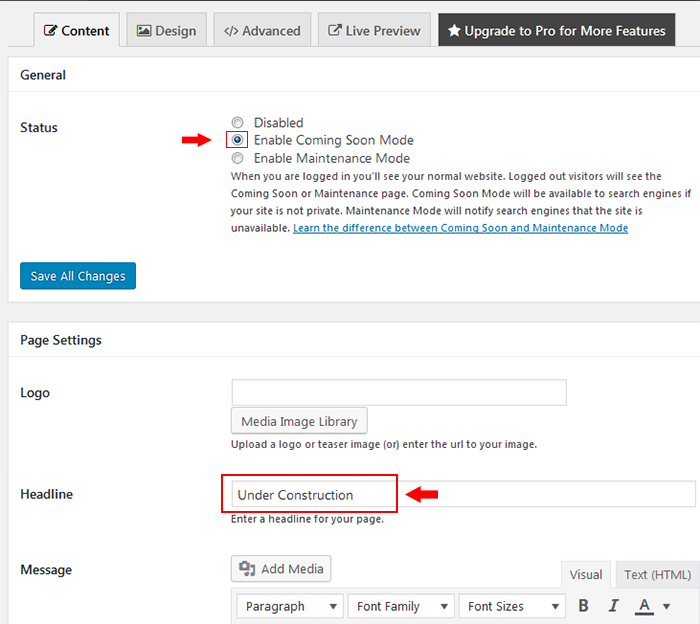 Note: You will need to Log Out in order to view the Under Construction text on your WebSpace home page. To turn off the Coming Soon or Maintenance Mode, click the radio button next to Disabled and Save All Changes.